Explore the scenic roads of the romantic Eifel on wheels. Motorcycle tours in the Eifel with certified tour guides as an option. 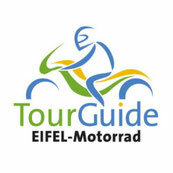 Here you will find more information and dates for EIFEL MOTORCYCLE TOUR GUIDES. Click on the map for a more detailed description of the itinerary.